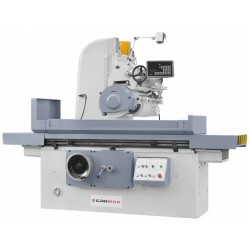 The grinding machine for continuous operation in production, tool shops and repair divisions. The machine has a modern stable structure. The fixed headstock operates on two pairs of ways. Automatic feeds for 3 axes and digital readout in a standard version. 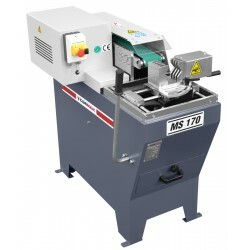 A universal belt sanding machine for rough, edges etc. sanding. It is suitable for various shapes and materials. The machine is also serially equipped with a suction ferrule for extraction. The sanding belt size 75 x 2000 mm, strong motor 3 kW. SM 75 model additionally equipped with the belt 2 speeds: 18 and 37 m/s. 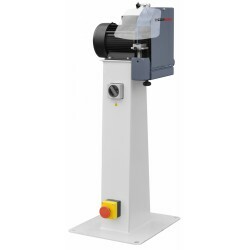 A universal belt grinding machine for rough, edges etc. sanding. It is suitable for various shapes and materials. The machine is also serially equipped with a suction ferrule for extraction. The sanding belt size 150 x 2000 mm, strong motor 4 kW. SM 150 model additionally equipped with the belt 2 speeds: 18 and 37 m/s. 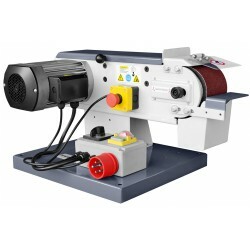 A universal belt sanding machine for rough, edges sanding etc. It is suitable for various materials. 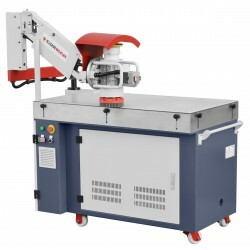 The sanding machine is also serially equipped with a suction ferrule for extraction. Easy and comfortable in operation and simultaneously silent and stable during operation.